Recruiting and staffing in the UX field presents something of a unique challenge. While applicants in most fields are accustomed to the traditional and often drawn-out hiring process, UX professionals and the companies hiring them bring a different perspective to the table. As experts in understanding how customers think and feel, they tend to regard every situation in terms of usability and emotion. Simply advertising for a “UX designer” without providing a to specific description of the position isn’t likely to get much traction from potential candidates. The UX field is so large and incorporates so many unique roles that anyone searching for a position is looking for a role and company that appeals to them. With so many companies hiring for UX roles, candidates aren’t very likely to settle for something that doesn’t quite match what they’re looking for. Providing plenty of specifics and taking care to describe how it feels to work for a company will go a long way toward attracting the right kind of attention. Of course, simply taking a passive approach and waiting for candidates to reply to a job ad isn’t going to yield many results in the UX field. The high demand for their skills has allowed them to be selective in their job search, and they typically want to feel like any potential employer has an active interest in them. Luckily, most of these designers will have a prominent online presence, whether through a LinkedIn profile or a personal website featuring a portfolio of their work. By screening through this material, recruiters can zero in on designers whose experience and interests most closely align to their needs. Here’s where things can get difficult. One of the unique characteristics about UX designers is that their entire profession is dedicated to making products, services, and experiences as intuitive and easy as possible for people to use. Aspects of recruitment that may be valuable for employers, such as online forms that collect information about a candidate, can cause them to immediately lose interest in a position. If they have to engage in a clunky or seemingly unnecessary experience to get their foot in the door, they’re liable to conclude that the job isn’t right for them anyway. UX designers put a lot of emphasis on relationships and personal experiences. Their first contact in the recruiting process should be someone who can provide an authentic portrayal of the work environment they’ll be entering. They will see right through vague buzzwords and unclear descriptions of their potential responsibilities. Forcing them to go through someone without the appropriate knowledge will rightly be seen as a significant obstacle. Given the high demand for their skills, UX candidates are likely to receive job offers much more quickly than candidates in other fields. Companies often fall into the trap of thinking that they might miss out on the perfect candidate if they don’t extend the hiring process as long as possible. As a result, they’re often more likely to lose an ideal UX candidate they’ve already interviewed because they make them wait too long before following up with them. Waiting for a follow-up should be considered part of the hiring “user experience,” so recruiters need to make sure that they move quickly when they know they’re interested in a candidate. Recruiting and hiring UX designers is a challenging process due to the unique nature of their profession. In order to position themselves competitively, organizations must treat the hiring process itself as a UX experience by making it as engaging and streamlined as possible. 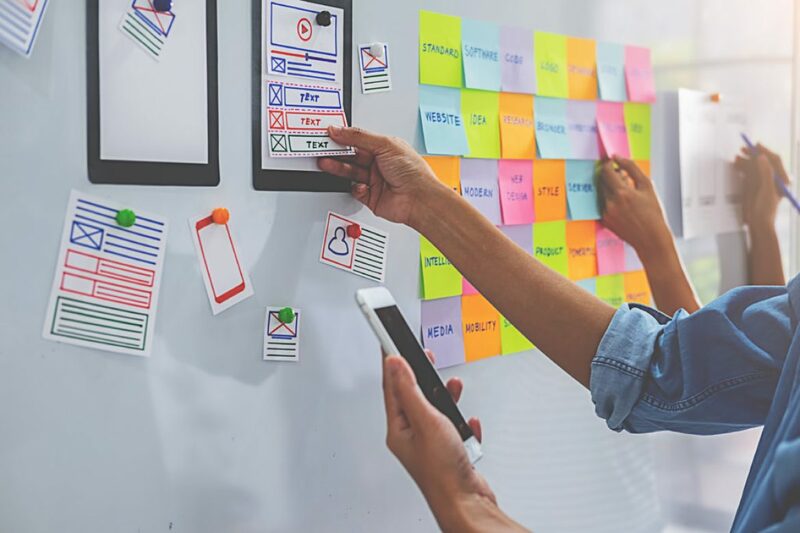 By identifying and removing obstacles that could potentially undermine this experience, it’s possible to give UX designers a compelling preview of an available position. This will lead to better quality candidates and hiring results over time.